Following a recent coaching initiative by Manx Youth Opportunities, we are delighted to announce that LC Motors of Ramsay have offered a 12 week work experience to Manx teenager Jasmine Potts. For Jasmine it means that her dream of becoming an automotive engineer is one step closer. 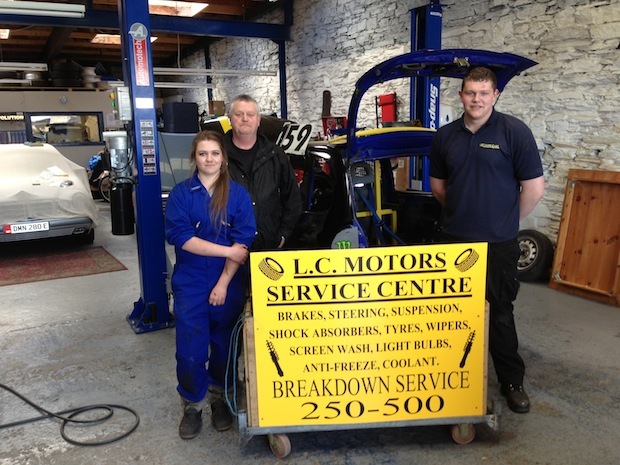 In the photograph above, Jasmin is shown with Dave Oldland and his son Will at LC Motor’s service bay. Congratulations go as well to Angelena Boden of The 15 Minute Trainer (website link) who coached and mentored Jasmine in the run-up to her work experience assignment.